Hot Toys has finally taken the wraps off their Captain Marvel sixth scale figure, and it's magnificent. 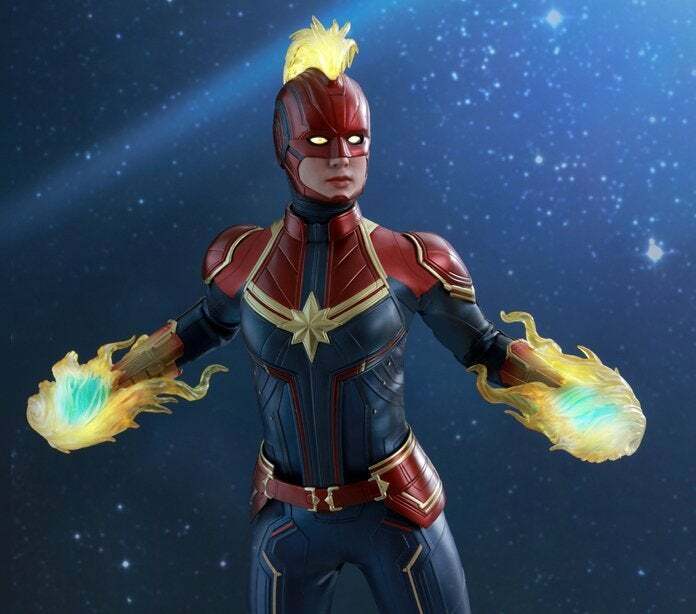 It comes with a standard head sculpt that features a pretty spot-on likeness of Carol Danvers (Brie Larson), but we really love the inclusion of a helmeted head sculpt that comes complete with LEDs and interchangable mohawk hair sculptures. Additional features include LED-equipped forearms for the effects pieces, multiple interchangeable hands, and a figure stand that can be configured for aerial poses. 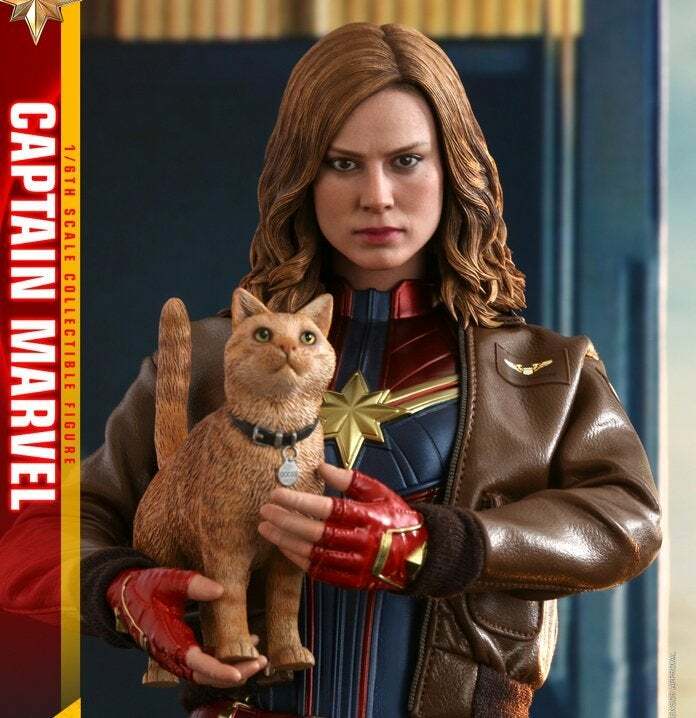 However, you'll definitely want to go for the Deluxe Version of the Captain Marvel figure because it comes with a bonus bomber jacket, extra firing effects accessories, and, most importantly, Goose the cat! 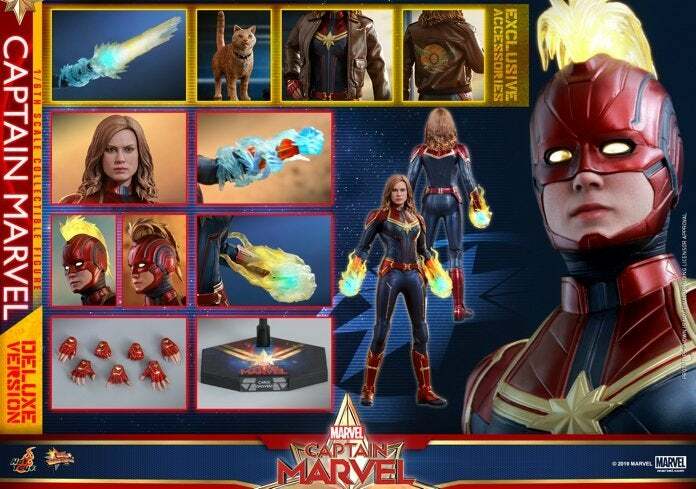 The Standard and Deluxe Versions of the Hot Toys Captain Marvel figure will be available to pre-order right here via Sideshow Collectibles at some point today, February 8th (new figures usually go live before 4pm EST). The complete feature list for the Deluxe Version is available below.